I fell madly in love with the classic French Silk Pie as a teen. But until I made my own from scratch, I didn’t realize how truly exquisite it truly was. My mom loved to shop. It must be genetic. A few weekends a year, the family would pile in our Plymouth Satellite station wagon, without a radio or even seat belts, and drive the 30+ miles to the big metropolis of Des Moines, Iowa for a little retail therapy. My parents would often arrange a detour through the art museum in hopes some culture would rub off, then trek to Pier One along with whatever else my mom had on her shopping list. Occasionally we’d return home with a massive box of Sara Lee danish or new tops from the sale racks of the downtown Younkers, but our favorite stop was for a slice of pie before we set out for home. I used to gravitate towards Dutch apple, until I had my first bite of the classic French silk pie. That chocolate number topped them all. Watching the original Martha Stewart cooking show, I became totally engaged when I saw her prepare a classic French silk pie. Made with butter, sugar, eggs, chocolate, and vanilla, it was pure heaven. 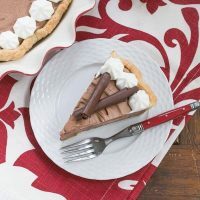 Slices are topped with whipped cream, and I can’t resist adding chocolate curls or shavings as a garnish. I doubt that chain restaurant from my youth used real butter in their version. So homemade is definitely a heck of a lot better. Note that the eggs are not cooked so use pasteurized eggs if serving to young children or the elderly. Otherwise, you should be OK using good quality organic pasture raised eggs, but make sure you are well aware of the risk of salmonella. 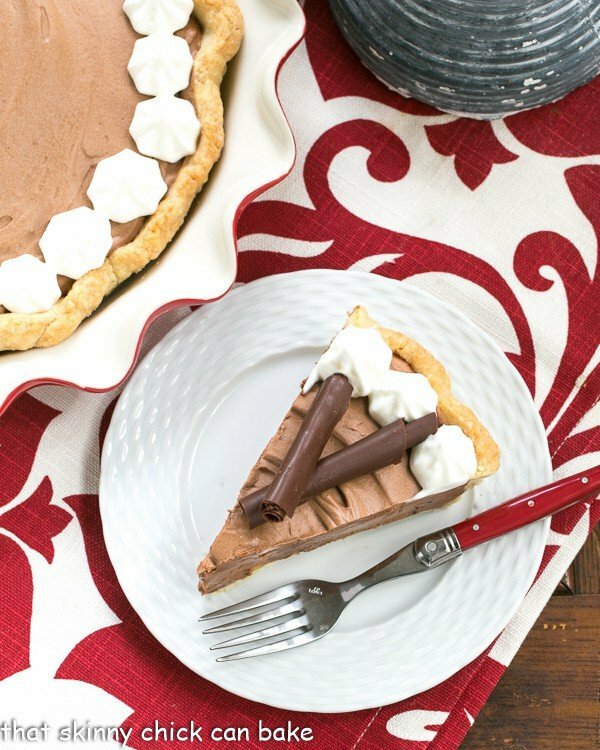 This decadent chocolate pie has a few simple ingredients, so it’s imperative that you use top quality ingredients. No margarine, just pure dairy butter, good quality chocolate and the best pastry crust you can muster. Your butter should be at room temperature so it becomes light and fluffy when beaten. Use a European butter if you’d like a real treat! The amount of butterfat is slightly higher. Don’t use inexpensive sweetened chocolate. Ghirardelli is fine, but generic brands may not give the best results. If you’re comfortable making pie crust, a homemade crust made with at least part real butter is a phenomenal base for this French silk pie. 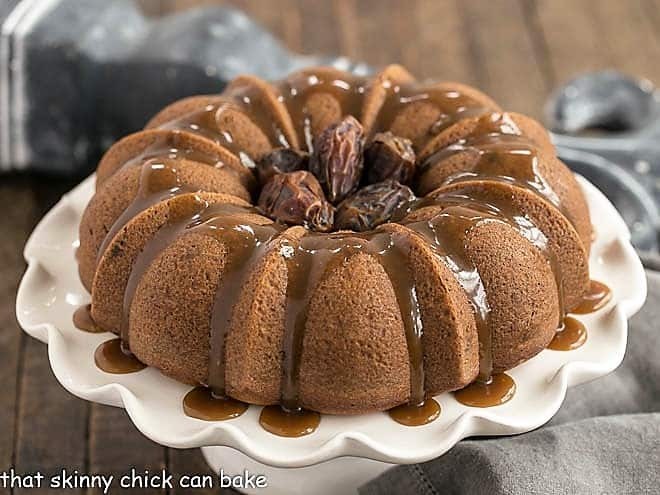 PRO-Tip: The eggs are not cooked in this dessert so use caution and don’t serve it to small children, the elderly or anyone who is immune compromised unless you use pasteurized eggs. Salmonella, a food borne illness, is often spread via uncooked eggs. I’ve pasteurized eggs at home by keeping them at 140 degrees in hot water for 3 minutes. But I still would not serve this to anyone at risk. To serve, you may like to garnish with chocolate curls and piped whipped cream rosettes. I stabilize the cream by adding Whip It, so it keeps its shape. Alternatively, you can pass whipped cream with a slice of pie or spread whipped cream all over the top of the pie (my go-to method when serving this pie to my family). If you love chocolate pie, check out these: Cookies and Cream Chocolate Pie, German Chocolate Pie and Triple Chocolate Layer Pie. 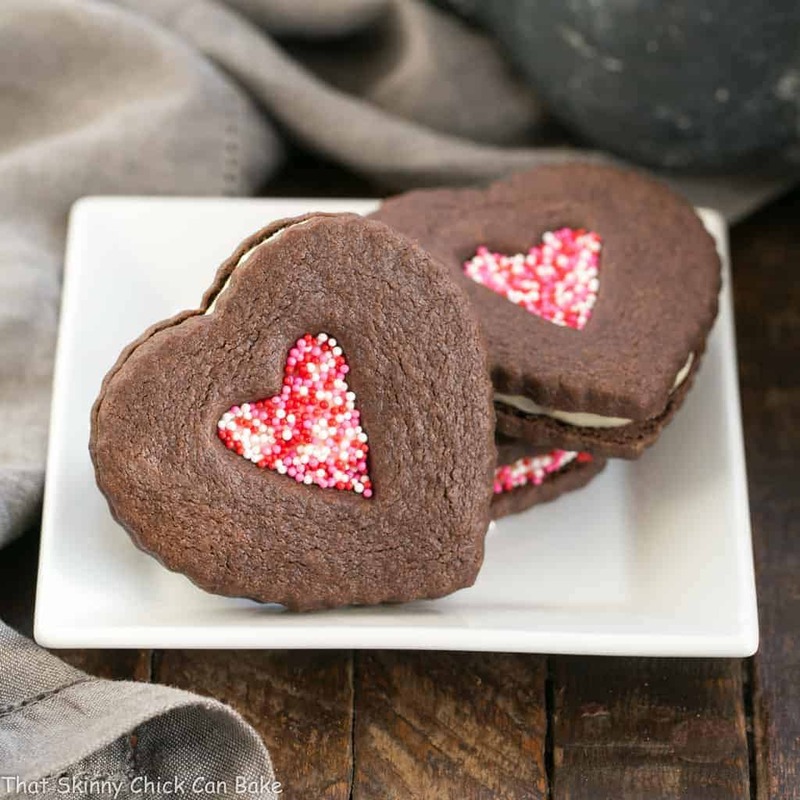 Check out these links to learn how to make chocolate curls or chocolate shards. 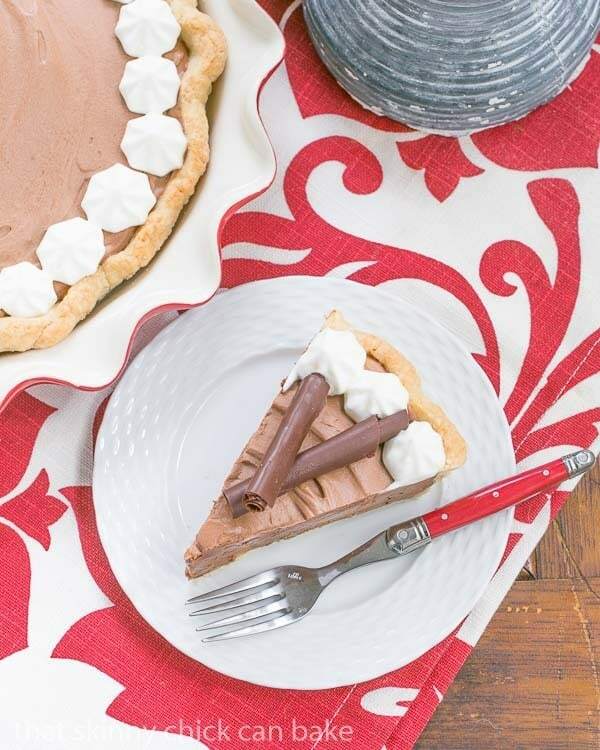 A recipe for Classic French Silk Pie, a dreamy chocolate pie topped with whipped cream. In the bowl of a stand mixer with the paddle attachment, cream butter and sugar for about 2 minutes, till light and fluffy. With mixer running, gradually add melted chocolate and the vanilla. Add eggs, one at a time, beating at medium speed for 5 minutes after each addition. Pour filling into cooled crust. Cover with plastic wrap, and chill for at least 4 hours. Before serving, whip one cup of heavy cream, adding sugar and vanilla to taste. I also add an envelope of Whip-It to stabilize the cream. Garnish with chocolate shavings if desired. Adapted from Jean Webster via the Martha Stewart website. Disclosure: Imperial Sugar donated product for our event. 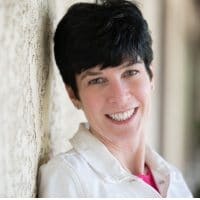 I did not receive any other compensation for writing this post and all opinions are my own. Silky filling, buttery crust…a heavenly combo, Liz. This pie looks utterly delicious. 3 large eggs. Thanks for catching my omission! 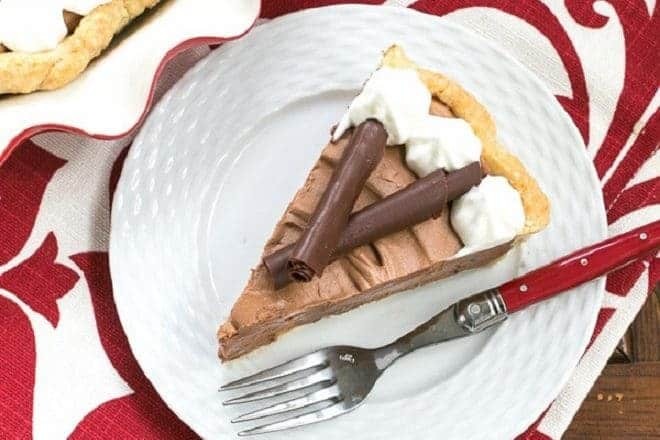 I looooooove French Silk Pie so I am SO excited to see this recipe! Question: what is Whip It? Also, your linky isn’t showing. Those darn things are so temperamental. What lovely and delicious memories you have of your family trip! Sometimes it is these little moments that matter most! And your French silk pie certainly looks exquisite and delicious! I’m back from vacation, and you’ve made a terrific pie to welcome me! 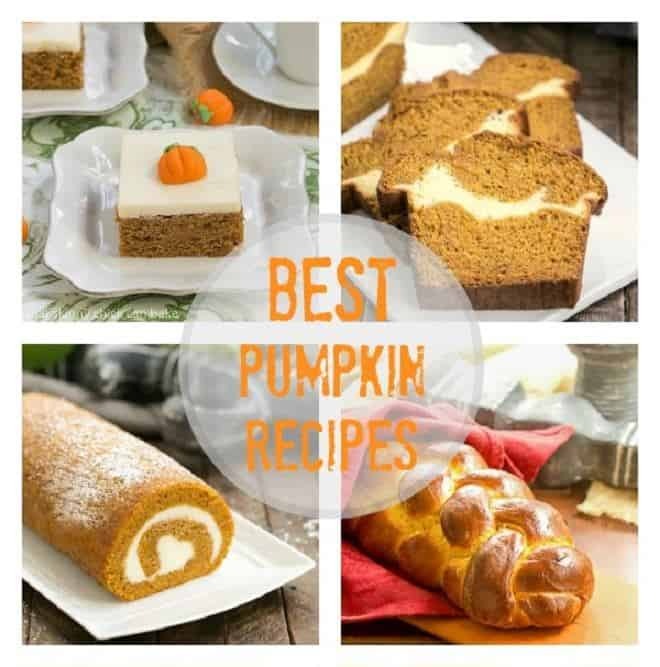 This looks awesome — looks wonderful, and I know it tastes even better (because you made it). Really nice — thanks. Yummy yummy and more yummy! I need to save this one! The first thing that came to mind when looking at this delicious pie is where’s the fork. Definitely a favorite! Love your garnishes too! Some things you just cannot improve upon and this classic pie is an example of that. Wow!!!! This was absolutly amazing! I was a bit worried while making this that it wasn’t going to turn out, because upon tasting it it tasted grainy. After adding the eggs this was much better. I used a pre-made Keebler shortbread pie crust. I didn’t have any chocolate squares, so I melted 1 tbsp shortening with 3 tbsp cocoa for each oz. of chocolate. Update 1/22/12, I have made this pie several times and it is always amazing. I recently made it again and used egg substitute and it ruined my pie! 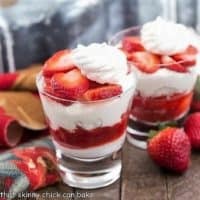 They would not blend into the rest of the ingredients and it turned my filling into a cottage cheese like filling, wound up throwing it out! From here on out I will always use real eggs!!! 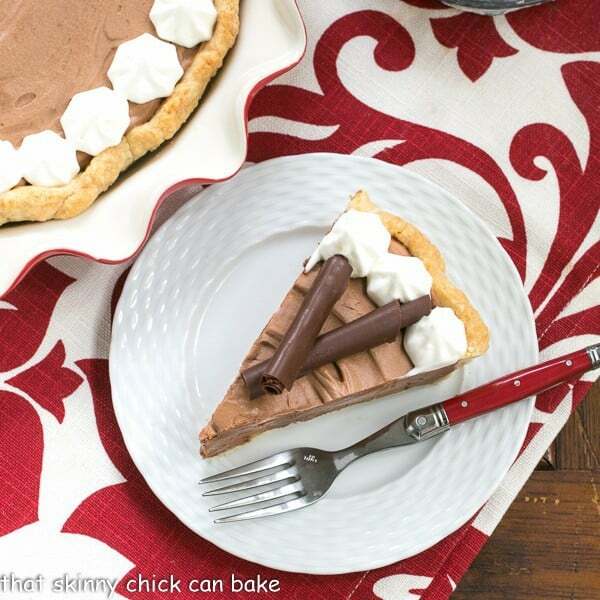 This French Silk Pie is flawless! so pretty and the texture looks unbelievable! 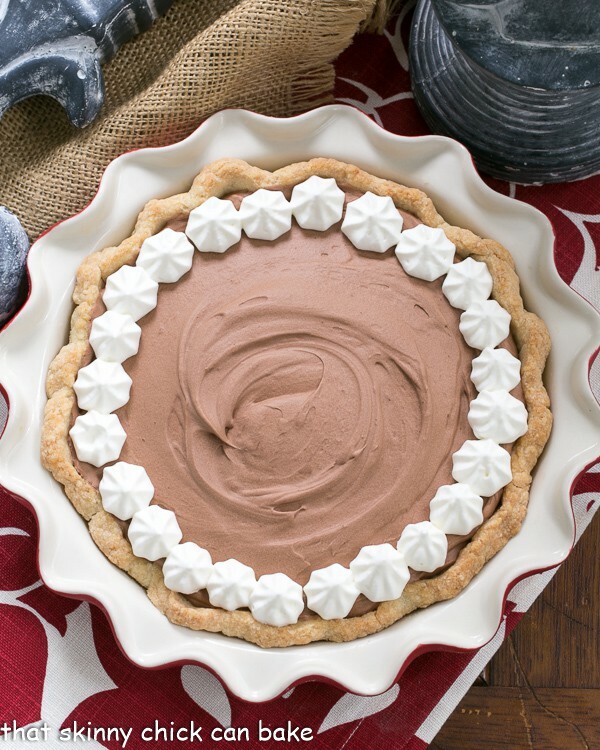 I love French silk, this pie is a dream! I had never had French silk pie until I made one myself over the summer and it blew me away! Normally I don’t like things that chocolatey but it was so lush! And of course as always yours is decorated to the nines. What a tasty series! The chocolate curls are a beautiful addition. I think I’ve heard of silk pie made with cool whip too. That’s why I never made it before. Yours looks so elegant and since no cool whip is involved, yum. My love of French silk pie came from Bishops restaurant in Sioux City, Is. we would go every Sunday after church a 45 min drive and have pie before we came home! Such fun memories! We loved Bishop’s in Des Moines!! Love how smooth this is! I can have chocolate any day of the year! It’s perfect for the holidays! 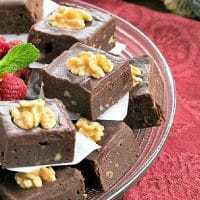 Great story and a wonderful rendition of a classic comforting chocolatey dessert! This is one of those recipes everyone needs to have in their back pocket! 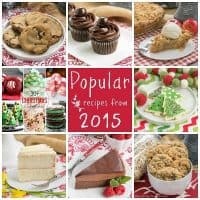 One of my favorite pies and perfect for the holidays! This is so good and love your tip go use European butter! This had the most amazing texture. Wow! Everybody loves this classic silk pie. This was a big hit with my kids! They want it for Thanksgiving! 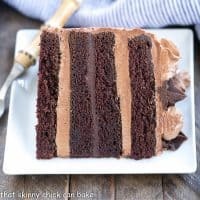 Perfect for when you want something chocolatey! I love the texture of this pie!